The government of Ethiopia is on the move of joining the Common Market for Eastern and Southern Africa (COMESA) Free Trade Area (FTA) which enables the country to have preferential trade interaction between member countries. The FTA covers core issues of tariff liberalization, rules of origin, customs procedures and simplification of customs documentation, transit procedures among other issues. This decision came from following findings and recommendations of a research titled "Ethiopian Industrial Competitiveness" conducted by the COMESA and the Ministry of Finance & Economic Development (MoFED). The research recommended that the country is ready to join the free trade area because the county’s competitiveness in terms of quality and price improved from the previous times, according to Geremew Ayalew director general of trade relations & negotiations at the Ministry of Trade (MoT). Two researches conducted 10 years ago had identified two main negative outcomes of joining the FTA at that time - that Ethiopia industries would be no match for cheaper imported products from the regional economic community and would be closed, and that 72,000 individuals would lose their jobs as a result of the closure of the industries. The COMESA was established in the mid 1960s with the idea of regional economic co-operation. 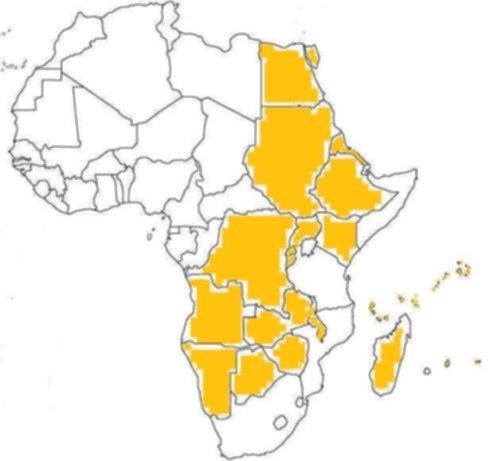 COMESA’s FTA was launched on October 2000 with nine Member States with the aim of trading on a full duty free and quota free basis, with the remaining countries at various stages of joining the FTA, which now has 13 members. The FTA has boosted intra COMESA trade, increasing it by nearly six-fold from 3.1 billion dollar in 2000 to 18 billion dollar in 2013. Ethiopia was not able to join the membership because of incompetency in both the quality and quantity of its industrial products, according to Germew. To be beneficiary of the preferential treatment goods should be in conformity with the rules of origin of COMESA’s FTA. The criteria generally require the goods should be wholly obtained or have undergone sufficient transformation in the production processes in the FTA.. The Ethiopian Industrial Competitiveness research was conducted by the support of the COMESA and the MoFED. The research was started a year ago and handed over to the MoFED recently after finalization. As a stakeholder the MoT was invited to give comments on the results and recommendations. "The country will not join the FTA once but in five phases gradually to liberalize and cope up with the trade competition expected from industries of member states," says to a source who wants to be anonymous. The arrangement has already been prepared for joining the FTA and submitted to the parliament for parliamentary oversight and reflection before the parliament session was close on July, 2014. "The parliament has a positive response for the arrangement," said Germew. Same like the COMESA’s FTA membership Ethiopia is also in the preparation of joining World Trade Organization (WTO) which was established in 1995 at Marrakech, Morocco, replacing its predecessor, the GATT formed at the end of WWII. Ethiopia is one of 23 countries with observer status to be an additional member to join the current 159 member countries at the WTO.